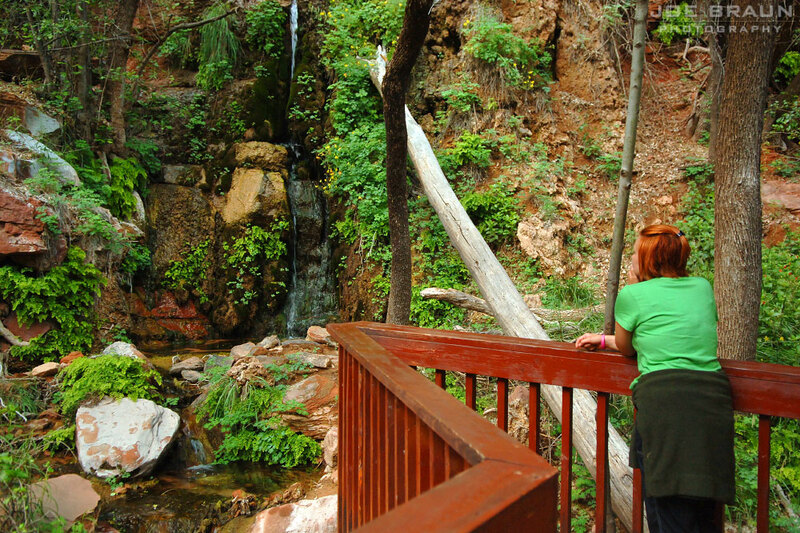 A very short trail leads to a nice wooden deck that has been constructed to look over at the seep and waterfall. The actual falls and waterflow are quite small, so do not expect an extremely photogenic Yosemite-type scene. The ambience and sounds of the water are quite relaxing, however, and this has traditionally been a prime spot for exchanging vows in the park. (Marriage ceremonies are also popular under the giant cottonwood tree in front of the Zion Lodge.) Please note that a special use permit is required for all weddings within Zion National Park. 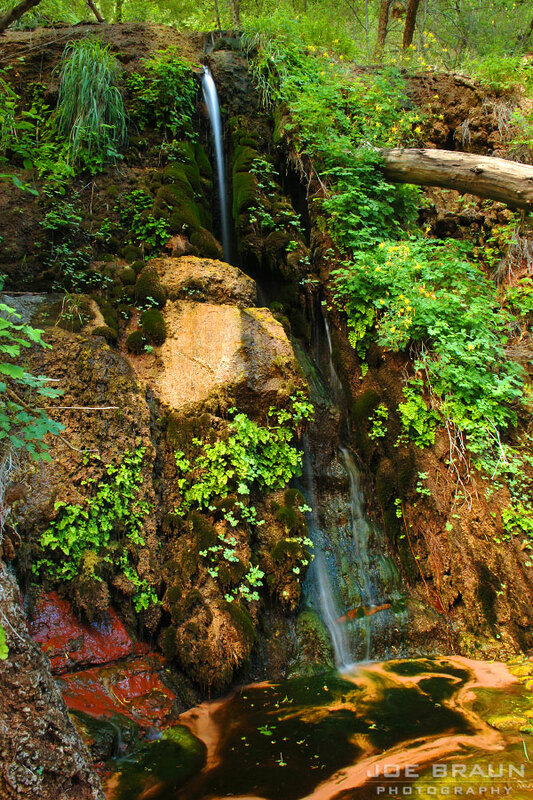 After visiting the falls, you can continue leisurely hiking up the main canyon via a trail of use along the Virgin River until you reach the Temple of Sinawava (the last shuttle stop) after another half a mile. Here you can hike the Riverside Walk, one of the most pleasant trails especially at dusk.